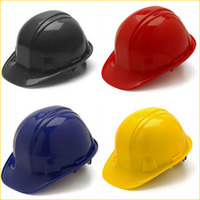 Visit this page for our line of Pyramex hard hats. These are all ANSI Type 1 hard hats at a much lower price. Many styles and colors to choose from. 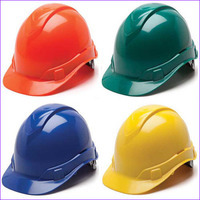 Pyramex is another top brand, so we carry several Pyramex hard hats to choose from. Some of our top colors are yellow, Hi VIZ orange, green and blue. 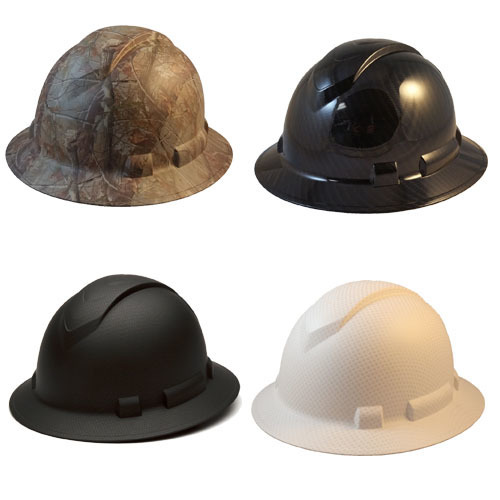 We stock Pyramex hardhats in full brim and cap styles, and some hats have ratchet suspensions while others have a different type. If you’re looking for something comfortable, consider our Pyramex Ridgeline low sitting caps. These caps are made to sit lower on your head while still providing ANSI approved protection. Our Pyramex hard hats with pin lock suspensions give you great flexibility and comfort. Since the suspensions can be adjusted, you can get the best possible fit. 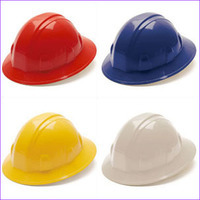 We even have Pyramex hard hats with ratchet suspensions, so you have plenty of options to choose from.